An Esp8266 Nextion Scene controller?? I have played with Nextion HMI controller, but for the moment with 8bit arduino only. But I want to have something that I can use for lots of purpose like heater, scene controller, mqtt...(and for my job too, so I can prototype and have a working touch display with connectivity faster..). So last night, I started, and "finished" to route something for this. I need to check everything on breadboard before I order it and to get nextion lib working with esp8266. So I will try it today, I hope to have not too much pain. Does someone already use it with esp??? 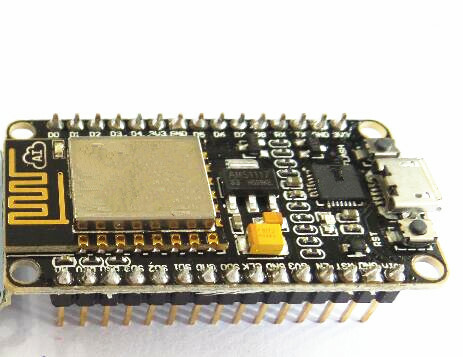 esp8266-12F (the module only). I wanted to use a nodemcu module at first but if the HMI is 2.8 or 3.2, and antenna needs to be outside the board, and the usb on edge, so nodemcu is not elastic lol. Few screenshots, it may change (I will rearrange traces a little bit, I was hurry to sleep!) and I have to speed up all my designs to order before chinese new year, argh! These screenshots are for the 2.8" version. I will do a 3.2", not big task now. I will use some 4x 6mm washer between this board and the nextion. I wanted to make a 3d preview with the custom box, hmi...but was lazy, it was too late! One thing I am wondering is: nextion on top or on bottom??? for the moment nextion will be above si7021 and bh1750 boards. What do you think? no matter I will try it , one board more or less now..
@hek: about openhardware.io. What's your strategy? Do we have to use the new platform, or hardware section + new platform (+ github, gloups!)? In the other hand, can I use the new platform if I use Eagle (not opensource, and no time for kicad unfortunately...). I think it's maybe a dumb a question..and it's just a matter of taste. Cool! And the future addition of a ATSHA driver that supports I2C would be great! The only files that would need adaptations are libraries\MySensors\drivers\ATSHA204\ATSHA204.cpp (for the library driver) and libraries\sha204\sha204_library.cpp (for the personalization driver). Hehe, thanks. But at that layer, I have not done much. It is more a matter of adding a new transport layer next to the existing swi driver. But the driver is heavily tailored towards swi use, so there will be some tinkering needed down there. But at least it is isolated to a relatively small portion of the codebase. when i did it I made a non smart choice... to92 ugly isn't it! I did that because I wanted it easy/fast handsolderable (1206+through hole) but I should have done all through hole in this case, I should have slept more I think lol I have discovered that other people have done great/smart boards like this one too...tough! I have mine, different features with few things I could do better....but I will the changes on design files. about openhardware.io. What's your strategy? Do we have to use the new platform, or hardware section + new platform (+ github, gloups!)? In the other hand, can I use the new platform if I use Eagle (not opensource, and no time for kicad unfortunately...). I think it's maybe a dumb a question..and it's just a matter of taste. The idea is to use whatever tool you'd like. I'm trying to make it recognise CAD design files from all major brands (commercial included). But it might be good to upload the Gerbers along with your cad source files so people have a chance to actually build upon your work. Keeping everything in a github repo will help your with the versioning bit. To update OpenHardware when you push something, just requires a push on the refresh-button (I will do a daily scan of all connected repos eventually). So yes, use Eagle!.. they have a free version if I remember correctly? Your proto board (and Nextion screenshots) looks great BTW! @Charly86 hi yes I hope soon! hihi. yes very happy! you're right for the price and still don't understand why chinese have not done yet all changes advised by unified!!! after changes done, it's very cool! some other things on my toOrder: a hot air for rework (in case), and need to tinker a small solder paster dispenser with stepper motor (can be useful when I have no stencil). but stencil+reflow, wow so fast! chrono stenciling 5-10min, reflow cooking 5min, and "hand" pick&place depends how I am organized but it's a lot faster than handsoldering + no more fear But this board is handsoldered, 1206 is pretty fast to do.. I always had pain for solder paste dispenser (that's a shame because has you said, you do not always have stencils) because the solder always stay on the top of the dispenser and not on the pad, but may be I'm doing wrong but tried a lot of position !! What solder paste are you using ? leaded or not ? I needed to change settings for leaded because it needs to be approx 250°C and it's difficult to calibrate (oven says 250 but really ? ), and at this temp sometime the PCB change it color a little bit due to excessive heating. I am using leaded chipquick SMD291AX Type3. Works well for the moment with 44pinVQFN fine 0.5 pitch. For smaller pitch, I think type4 or 5 is better (but more expensive) and I don't need it yet! 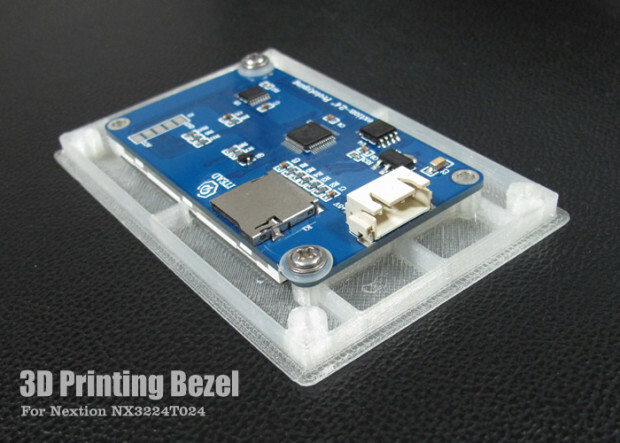 I have not tried the reflow with cheap chinese paste yet. I have seen cheaper solder paste at RS (multicore) but not tried yet. I wanted to have all chance on my side that's why I read lot of reviews, choosed leaded + chipquick. I was a little bit disapointed because I had to order at digikey for the solderpaste, as mouser don't ship it..
Yeah shipping solder paste needs some special shipping such keep it into "freeze" state, may be why, when it come from DK it's really well packed to handle this! I know the thread is getting old, but I had to say Scalz I love the work you have done on this project! Beautiful renders and a great board in the end. How many hours do you have in that PCB design? What is your rate for a similar board with the a few minor modifications? I don't mean to offend, and that's not to say your board is not perfect, I am just interested in adding a radio module sort of. Thank you for sharing, this thread that finally got me to register with the site. I have merely been a visitor for over a year now, but this was a great project. I don't remember for the time as i don't count, but it was not personnaly the hardest because there was enough room. I made it because I was thinking it could be everywhere as there is also i2c temp/hum/light sensors onboard. So for the moment, I am only using one. for multiple things. I tried it for thermostat feedback through mqtt etc.. but I have a controller which does thermostat, and it's cool on mobile too. Actually i have it connected to a signal generator (ad9850 like) and use nextion to config/change waveforms, for testing etc.. connected to a lipo. sort of fun&basic digital instrument (even if i have a better one). Hmm hey sorry for dumb question especially since it's a super old post but I don't seem to find a link to the eagle/cad documents or a way to buy this shield. I have Nextion 2.4, 3.2" and some enhanced version too. Let me know if I missed the buy button or a way to get the fritzing/eaglecad I can change myself and maybe adapt to my sousvide and thermostat project :). I totally zapped this thread. @alexsh1 where did you order this pcb ? I'm a fan of scargill work. I saw this article a while ago but I didn't use ESP8266 at the time, so I didn't pay attention. Now after several tests with ESP, I'm more interested in this PCB, but I can't find a link to oshpark in the article. @alexsh1 Ha thanks for the osh link :). Saved me the trouble. I find myself building many similar projets and exploring similar avenues as Scargill. Have to use my SMD workstation and go blind for this. But will try anyway. @scalz : What software did you used to create these 3d pics of your board? did you finished your Enhanced Version? As i understood correctly the ESP8266 Board is used to send messages/touch commands over wifi - mqtt to a controller right? How it is programmed to send over mqtt? So if i have this ESP - Board i do not need a arduino right? Another question: Is it possible to run this board with a arduino pro mini or uno and nrf radio to send messages to my controller? As i see, i can also take some of this ESP-Boards right? @artipi what is it you are trying to do? You have to read more on the esp8266 forum. There is a tool to upload binaries (it works on Windows 10) to esp8266. You have to compile binaries. No, the board has not been designed to be run in the arduino environment. This is only esp8266. i try to make a small Wall scene controller that sends the commands to Domoticz over mqtt. I ordered now the Nextion Display an thinking now to buy a WeMos D1 Mini Pro. Is that the right way? I stumbled across this thread while searching for something related and thought I'd resurrect it to mention my HASwitchPlate project, which utilizes an ESP8266 as a MQTT-to-Nextion gateway to act as a wall-mounted scene controller. The project includes code for the ESP8266, Nextion, and home automation platforms including Home Assistant and OpenHAB. A PCB has been developed to allow running from AC power, and 3D-printable models are provided to mount the project into a single-gang work box common in North America. The end result is a scene controller you can build yourself with all the necessary components (software, electronics, and physical enclosure) ready to download.